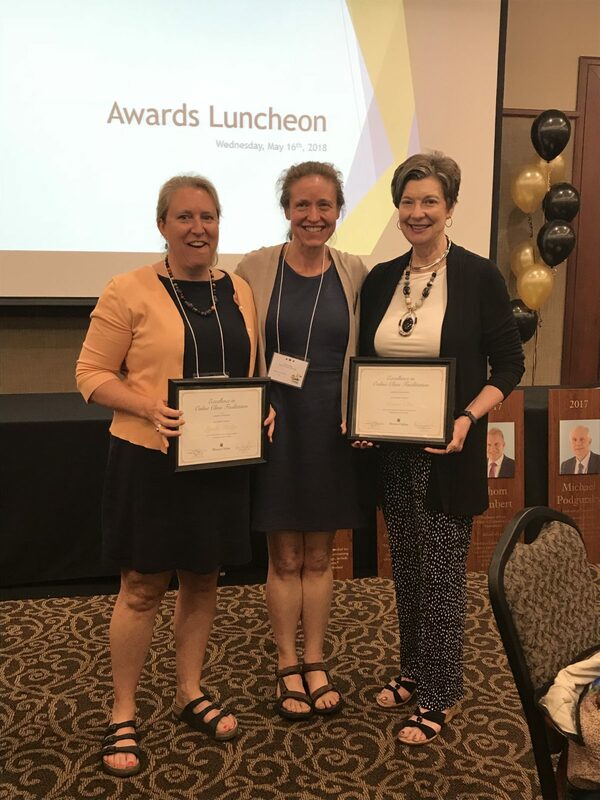 Donna Otto and Lynelle Phillips received the Excellence in Online Class Facilitation Award from MIZZOU Online for their work in the N4970 Nursing in Communities course for the RN to BSN Option. The award was presented at the University of Missouri Celebration of Teaching awards ceremony on Wednesday, May 16. Pictured are Lynelle Phillips, Laura Foley (instructional designer) and Donna Otto. The award was presented by Kim Siegenthaler, Director of Mizzou Online.